If there's a tabletop gamer in your life, your gift-giving dilemma is one of abundance – there are so many awesome things to give a gamer, how do you pick the right one? We'll sort you out with this guide to great gaming gifts. Card Sleeves. Your gamer friends might play Magic: the Gathering or another collectible card game. Or maybe they play a board game with lots of cards, like Arkham Horror, or a deck-building game like Ascension. One way or another they do some gaming with cards. And cards that get played with a lot show wear and tear very quickly. The solution: card sleeves. They come in a stunning variety of colors, or decorated with elaborate art. Some sleeves sparkle or shimmer. Some have the Game of Thrones house sigils on them (pictured below). Just do a little research and make sure the sleeves you buy are the right size for the cards your gamer uses. Smash Up. This card game has become one of my favorites. Each player picks two factions, like dinosaurs and wizards, or ninjas and aliens, or pirates and ninjas. Each faction has its own deck of cards, and you shuffle your two factions together. Players battle for control of bases by playing their minions onto them, then playing action cards to shake things up. Gaining control of a base scores you points (and sometimes other effects). Each faction has its own specialty. Zombies tend to bring cards back from the discard pile, while robots form a sort of collective that boosts all other robots in play. Every pairing of two factions works together in different, interesting ways. Wizards and zombies are a pretty devastating combo, for instance. Smash Up also plays really well with just two players. Tackle Box. I know, this is a gaming gift guide, not a fishing gift guide. Hear me out. I guarantee that your gamer friend has stuff that needs to be stored. Might be a ridiculous dice collection. A horde of painted miniatures (or unpainted minis and a bunch of paint and brushes). A pile of Heroclix. Maybe your gamer is a budding game designer, so she gathers spare meeples, dice, poker chips and other odds and ends for prototyping new games. A nice tackle box with drawers and compartments is the perfect thing for keeping it all in one place, with the bonus of being easy to carry around. Dice. What's that? Your favorite gamer doesn't have a ridiculous dice collection? Time to get him started. 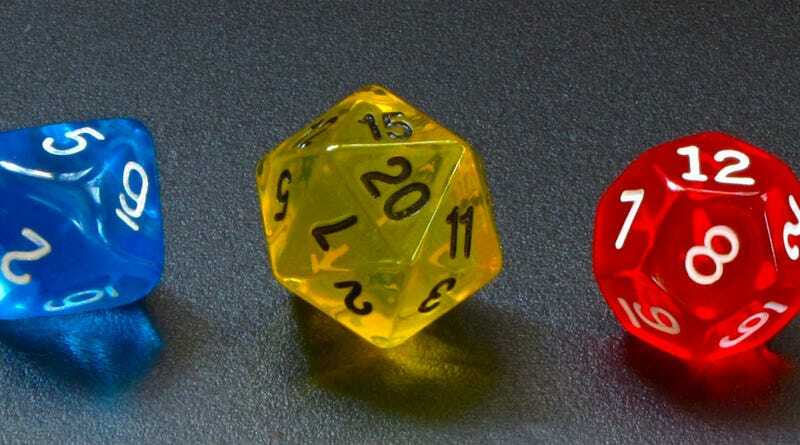 Chessex and Crystal Caste are two of the biggest names in hobby dice – between the two of them, you should be able to fill almost any polyhedral desire. Start the collection with a pound of dice, or go with something more distinctive. You can buy expensive dice carved from a meteorite or a dinosaur bone, but you can also find beautiful designs of swirling or translucent color for pretty reasonable prices. No gamer would be sad to find a D20 in a stocking. Pathfinder Adventure Path Subscription. Paizo releases six-part adventures for the Pathfinder RPG in monthly installments. They call these Adventure Paths, and you can subscribe to them so you just get each new installment every month. That would make a pretty awesome gift for the RPG player on your shopping list, and there are some bonuses too. You get each installment at 30 percent off regular price, and as long as you're subscribed, you get a 15 percent discount on all Paizo merch. They even give you free PDFs of each adventure, something you'd normally have to pay extra for. Tablet. This is obviously on the high end of the holiday budget scale, but if you're looking for that one big gift, or a gift that the whole family can share, a tablet or even a nice ereader is a great choice. I was a skeptical about tablets at the gaming table, but they allow you to bring an entire catalogue of books to every gaming session in PDF form. Gaming publishers have, for the most part, fully embraced digital publishing, so you'll have no trouble filling your tablet with your favorite game manuals. There are also lots of useful gaming apps, from dice rollers to apps that let you quickly search for a specific rule, spell, or feat. More powerful tablets can even run gaming software like HeroLab, letting you track your character while you play. Magic Holiday Gift Box. This is really a great value and a nice gift for a Magic player. It comes with four booster packs of Theros, the most recent Magic expansion, along with 20 basic lands from Theros. There's a very nice looking card box that holds about 2,000 cards, with plastic dividers for keeping your blue cards from your green cards from your artifacts (and a sticker sheet to decorate your dividers). Finally, it comes with a nice foil alternate art promo card, Karametra's Acolyte. Acolyte is actually a nice card for green ramp decks, decks that increase their mana production so they can cast huge creatures earlier than normal. The alternate art is a nice upgrade from the regular version of the card. Whiteboard. A nice dry erase board is probably the most useful thing our gaming group has found over the years. We use one every week to track initiative and party buffs. In the past we've used one to keep long-term information like magic loot, party gold, adventure clues and even records, like most damage dealt in a single round. I can't imagine gaming without one. A small one you can pass around the table works well, while a big wall-mounted whiteboard is super useful. Don't forget to buy some markers to go with it. Song of Ice and Fire RPG. I haven't fallen in love with an RPG in a while, but the SoIaF RPG from Green Ronin has really sunk its hooks into me. I've got a full review planned, but suffice to say it uses a fairly streamlined dice system and is carefully designed to focus play on the elements of the novels/TV show we all love and dread. Combat is deadly, but intrigue and deceit even moreso. Character creation leads to the creation of a rich story, and you and your friends will create your own noble house to take part in all the excitement Westeros has to offer. The rerelease of the core book features beautiful cover art and includes a previously published adventure that will get your house off to a great start. This one may even be a good gift for a non-gamer who happens to be a huge Game of Thrones fan. Dwarven Forge Dungeon Tiles. Dwarven Forge has a long-standing reputation as a manufacturer of brilliant dungeon terrain. For years they've made their sets out of resin, and they were as expensive as they were awesome. This year, Dwarven Forge developed a new, cheaper material to make dungeon terrain out of. They call it Dwarvenite – they're basically dungeon tiles made of hockey puck. Hard, yet slightly flexible rubber, nigh indesctructible. The highly successfully Kickstarter brought dungeon tiles into the price range of the average gamer, and now the Dwarvenite tiles are for sale at the Dwarven Forge website. An unpainted set of dungeon tiles costs about $50, which is roughly a third of what a similar resin set would have cost. It takes virtually no painting skill or experience to drybrush the unpainted tiles and make them look awesome, although you can spend a little more and buy them painted. Our gaming group went in on the Kickstarter – here's a dungeon we built with our tiles after we painted them. What was the best gaming gift you ever received or gave?